Henry was the restless one of the Wyborny boys. In March 1863 he filed a homestead claim on 160 acres of land 9 miles s.e. of Eau Clair, Wisconsin (N.W. 1/4 Sec.22 Twp.26 Range 8). 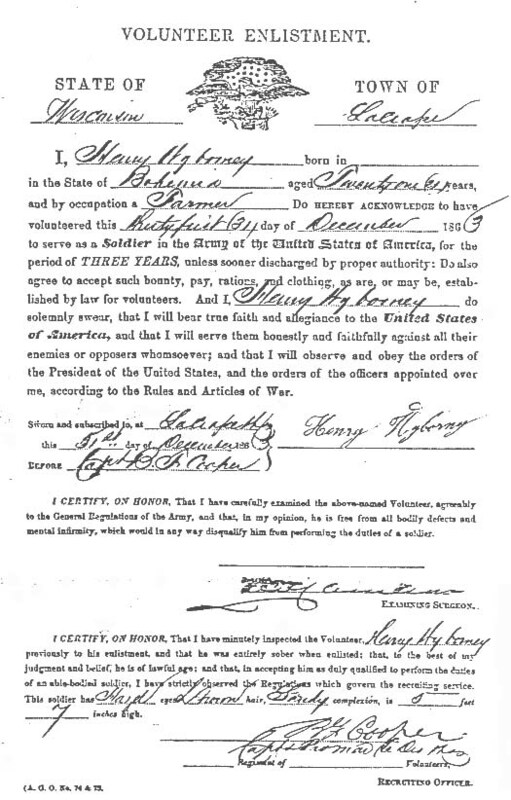 In December he enlisted in the Union Army, Co.H 16th Wisconsin Inf.. In April 1864 he was wounded during a battle in Tennessee and spent May and June at a hospital in Mound City, Ill. He rejoined his unit at Atlanta and remained with it until discharged at Louisville, Kentucky 7-12-1865. He then returned to his family in Iowa, married, then moved back to his homestead. In 1871 he acquired title to his land then in 1876 sold it and bought 160 acres 3 miles north of Lyle, Minnesota. In 1887 he sold this farm and bought another near Petersburg, Virginia. He lived in Virginia until 1903 when he retired, sold his land and moved to Verdigris, Nebraska. He lived there, near his daughter Anna, until 1906 when he sold his house and moved on to Wilbur, Washington. Seven of his children had moved there earlier. 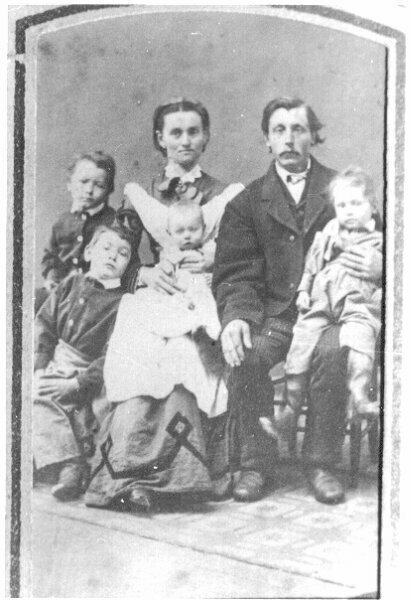 These were Charles, Joseph, Clara, Henry, Albert, Helen and Josephine. When his wife died in 1917 he moved to the Old Soldiers Home near Orting, Washington. In 1924 he left the home and married Artimetia Van Meer. They lived in a small house in Orting until his death in 1928. 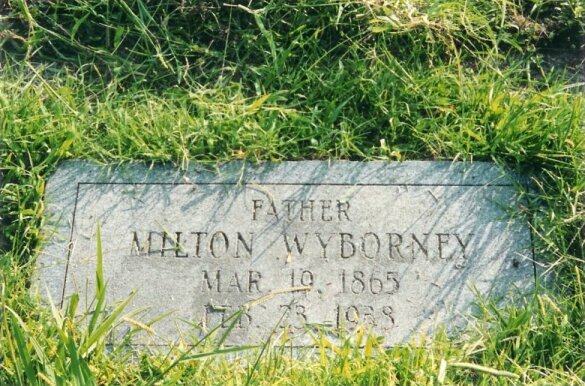 He was buried in the cemetary at Wilbur, Washington. Henry was very proud of his Bohemian origin. Anna and Milton each married Bohemians. 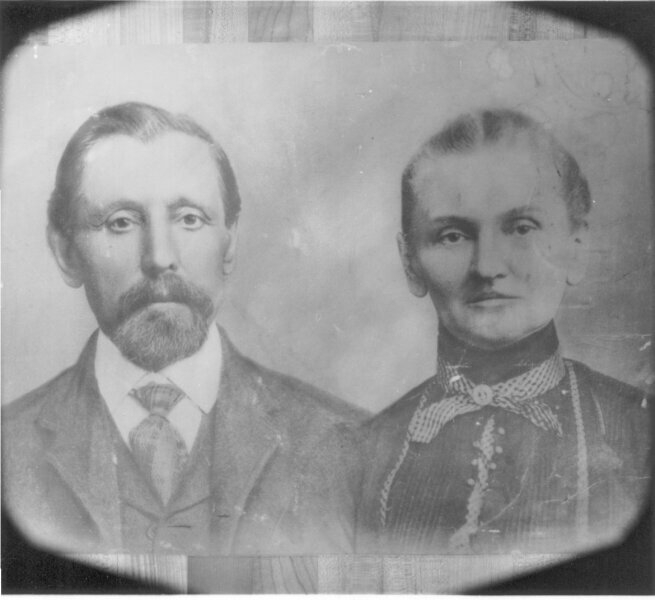 Charles then married Sarah Warren whose ancestry was English. Henry was so disturbed with this break from their ethnic origin that he left home... All his remaining children married spouses that were not Bohemian. While Henry was clearing his land to make his homestead productive he worked at a 'pinery' to support his family. This was some type of logging operation. Josephine Pokorny [Josefa Pokorna] was born 1-30-1843 in the Kohlmarkt suburb of Kuttenburg, Bohemia. She was the daughter of Wenzel Pokorny and Maria Zatrepatek[Zatrepalek]. She was baptised a Catholic then as an adult became a member of the Moravian Evangelic Church. Josephine left Bohemia in 1865. The crossing of the Atlantic with adverse winds and the sailing ship took over three months to reach the United States. They ran short of both food and water before landing. 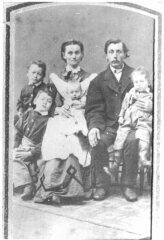 She reached Iowa and married Henry 4-25-1866. 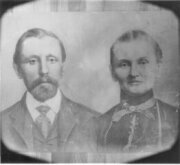 She and Henry then moved by wagon ond ox team to his homestead near Eau Clair, Wisc. The area was at the edge of the wilderness and some of the time she was alone with the children as Henry worked at times in logging camps. Josephine was a tall slender woman. She had black hair and dark brown eyes. In the later years of her life she walked bent forward at the waist. She died at their home in Wilbur, Wash. May 20, 1917. Buried in the Wilbur cemetary.